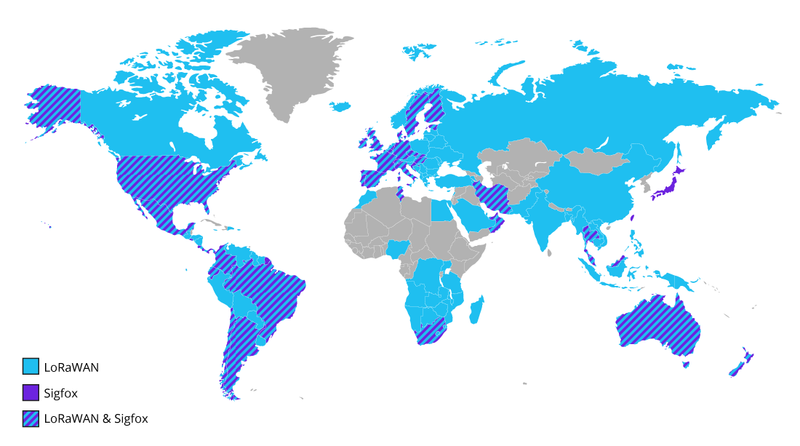 SAN MATEO, Calif., and ZARAGOZA, Spain—November 24, 2015—Libelium has released a new radio module bringing LoRa Wide Area Network (LoRaWAN) wireless connectivity to Waspmote Internet of Things (IoT) sensors for applications that require low-energy, long-range data transmission on a large scale. Protocols known as Low Power Wide Area Networks (LPWAN) are accelerating smart city and IoT deployments in Europe, Asia, and North America. Semtech’s open LoRaWAN standard is the backbone for many IoT uses that require bidirectional data communication and geolocation information. 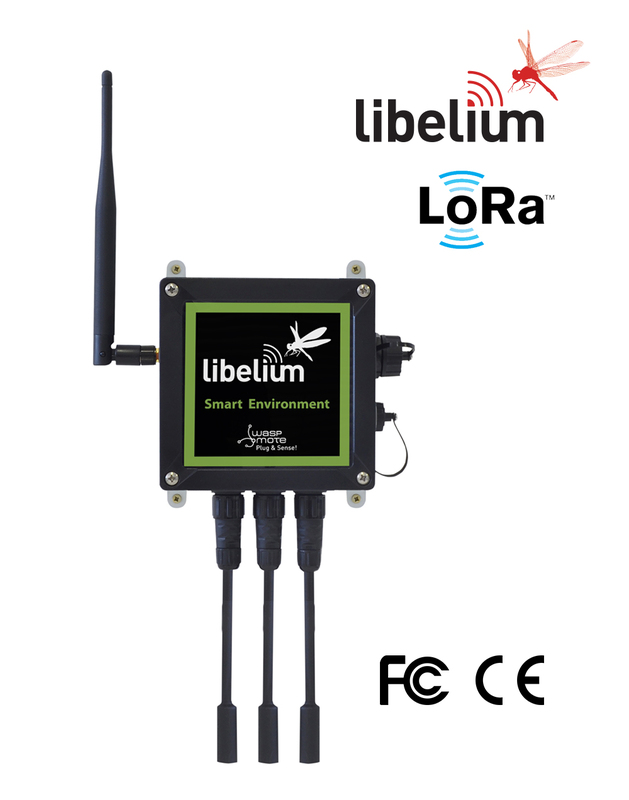 Libelium LoRaWan sensors send information to base stations in the field, and have successfully completed tests on Kerlink LoRa base stations for 868 MHz bands operating in Europe, on the 900 MHz band for the U.S., and for the 433 MHz band connectivity used in China, Japan and Korea. Libelium’s LoRaWAN radio module is fully integrated with the Waspmote sensor platform and is also available as an upgrade for all existing Waspmote sensor devices. Waspmote Plug & Sense! devices offer easy network configuration for smart cities applications to monitor environmental factors, noise pollution, water quality, as well as parking, and smart lighting applications. Paired with Libelium’s LoRaWAN module, Waspmote Plug & Sense! received CE marking earlier this month, making it the first horizontal sensor platform certified for use in Europe. Libelium is a member of the LoRa Alliance, and is building an ecosystem with partners providing LoRaWAN solutions that are compatible with Waspmote. In addition to Kerlink gateway compatibility as a turnkey solution, Waspmote LoRaWan sensors offer out-of-the-box connectivity with Actility, and network deployment and management capability with Loriot and Orbiwise backends. Please consult Libelium’s commercial department for further information. Libelium LoRaWAN radio module supports 868 MHz band (Europe); 433 MHz band (China, Japan, Korea), and 900 / 915 MHz band (North America). Many Smart Cities and Industrial IoT applications require low bandwidth data transmission over distances, both indoors and outdoors, often in areas of high electromagnetic interference. Waspmote Plug & Sense! sensors and the Libelium LoRaWAN radio module received CE marking on the 868 MHz band for Europe, and the FCC / IC on the 915MHz band for US and Canada. Embedded radio module in Waspmote sensor nodes sends information directly to base stations. Fast response, and simple, immediate network setup to connect devices to the LoRaWAN IoT network. Secure IP connection assured between devices, base stations, and Cloud servers. Accounts activated with strong, unique API keys. Secure authentication maintains data integrity and privacy of information transmitted by the sensor nodes, and also when data are stored on servers, gateways, and the Cloud. Extensive documentation, tutorials and LoRaWAN developer kits are available for Waspmote OEM & Waspmote Plug and Sense! devices. Waspmote is a complete technology platform for the IoT, integrating any sensor, any communication protocol, and any Cloud system. Waspmote OEM is oriented to developers for prototyping, pilot projects and proofs of concept; The Waspmote Plug & Sense! sensor line is an out-of-the-box solution pre-configured for quick deployment of IoT, Smart Cities, and M2M services and applications. Libelium LoRaWAN is also available for the OEM / DIY platforms Arduino and Raspberry Pi. Arduino and Raspberry Pi are key learning platforms for the IoT, widely available at low cost, and offering options for IT professionals to participate in the IoT and add IoT electronics technology skills to their resumes. For more Technical information go to Waspmote and Plug & Sense! website, or read the LoRaWAN Technical Guide .